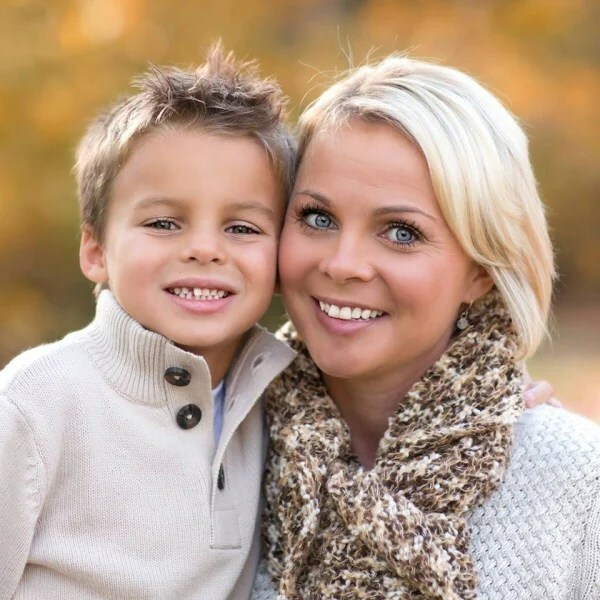 Jenny Mama could’ve had much worse than a broken neck if her 7-year-old nephew Mason Farr didn’t come to her rescue. While at Jolly Roger Amusement Park in Ocean City, Maryland, on May 25, Mama, Mason and Mason’s mom, Karen Turner, all headed down a water slide only 15 minutes after arriving. Mama went down first and somewhere along the ride, she fell off her tube and came floating face down. Once Mason came out right after her, he knew something was wrong, so he flipped her to her side and got her head up to where she could breath. Shortly after, the ambulance came and took her to the Shock Trauma Hospital at University of Maryland. Mason started water babies at just 6 months old and began taking swim lessons at 2 years old. 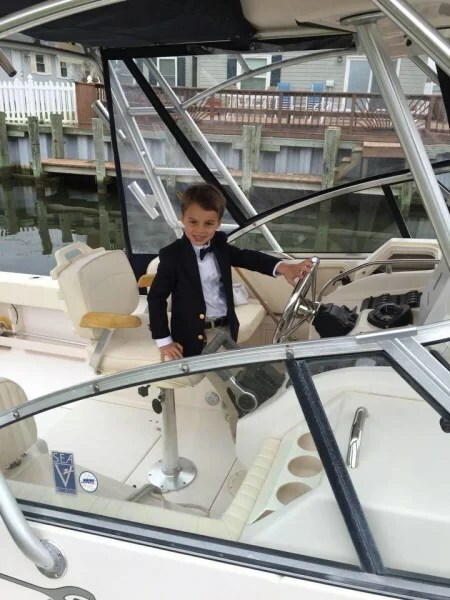 Since he grew up on the beach in Ocean City and is constantly surrounded by water, his parents thought it was important for him to be able to learn different techniques to help himself or another person. “When 90 percent of the activities your kid takes part in involve water, they really need to be able to recognize a problem and know how to deal with it,” Turner said. 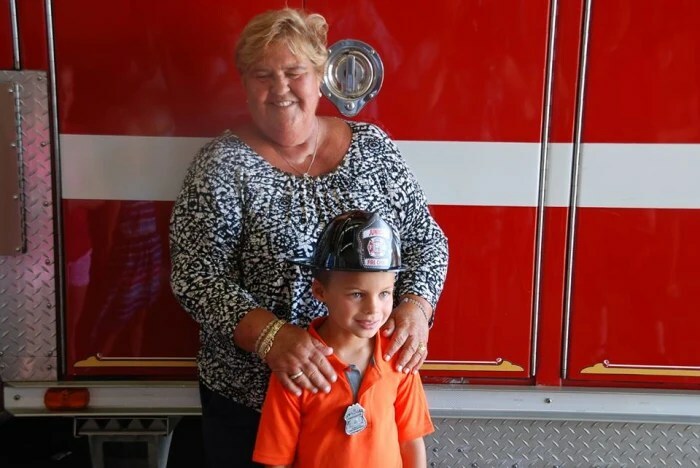 The Ocean City Fire Department honored the boy for his heroic actions on Aug. 17 by naming him fire chief for the day. 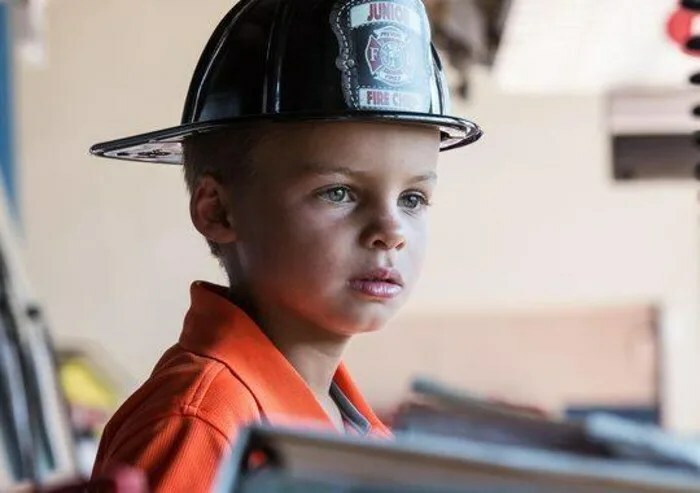 He got to ride the firetrucks, talk to the firefighters and was even taken on a tour of the fire department. Mama is now out of the rehab facility and able to recover at home, where she’s gaining more and more control of her limbs every day.